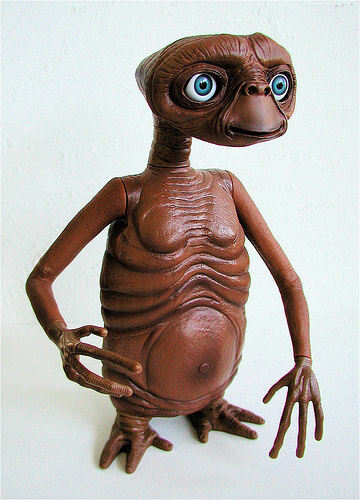 Mrs. Yeater is claiming that the loveable alien, E.T. is Mariah's real father. Just take a look at the similarity of some of those features. The noses are definately close, but the finger is the definite giveaway. Unfortunately, E.T. was unavailable for comment but we left a message for him to phone us when he gets home. For those of you reading this who want to know what E.T. is short for... it is because he has no legs.